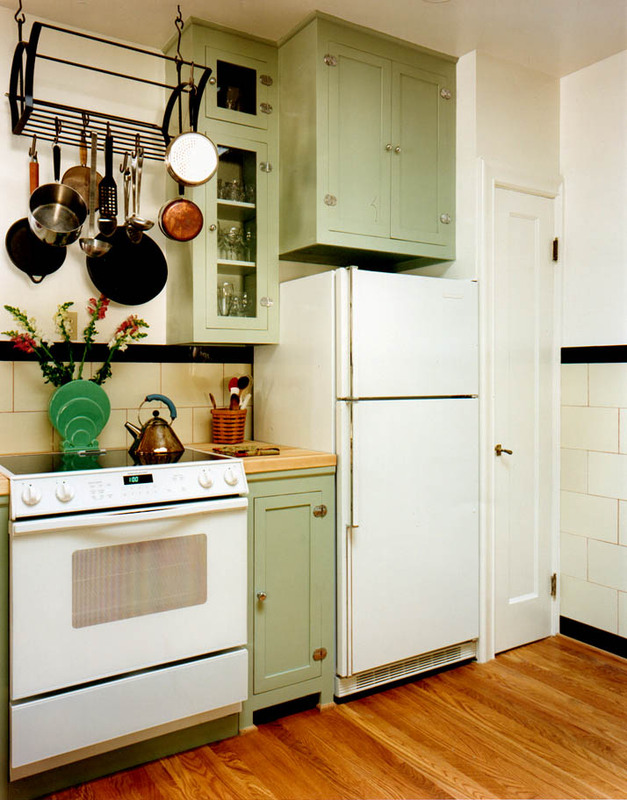 1930s Kitchen Update - NR HILLER DESIGN, INC. The general contractor on this job was Golden Hands Construction. As part of the job, a skylight was added, the sink cabinet was reconfigured to accommodate a new sink, the linoleum floor was removed (as a result of which the contractor added trim around the cabinet bases), and the wall shown above was reconfigured to incorporate a clever built-in closet in a space by the refrigerator that would otherwise have felt cramped. Interesting footnote: The mosaic tile counters are original, with the tile laid in a cement bed. Although the grout lines were dirty and worn from decades of use, the clients wanted to keep the counters, along with the original Nurre vitrolite wall tile. They had the contractor remove the old grout with a Fein tool fitted with an abrasive blade, a painstaking process that took many hours. Then new grout was added and the counters were sealed. 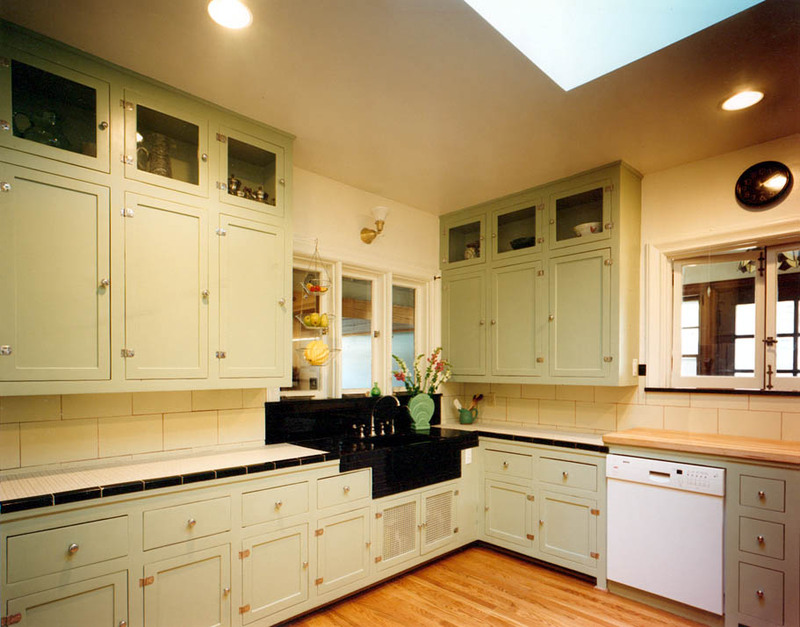 This kitchen was featured in Fine Woodworking.